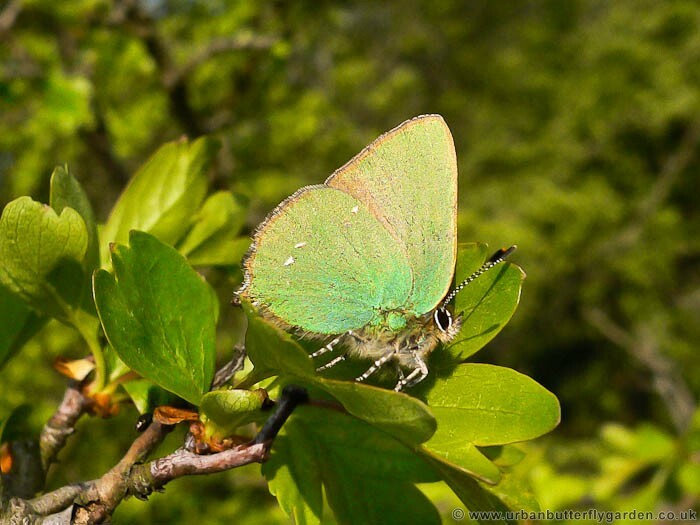 A small green butterfly, widespread and distributed across most areas of the UK, it’s colouration and fast flight make the Green Hairstreak well camouflaged, and often difficult to spot, even in areas where it is locally found and numbers are known to be high. 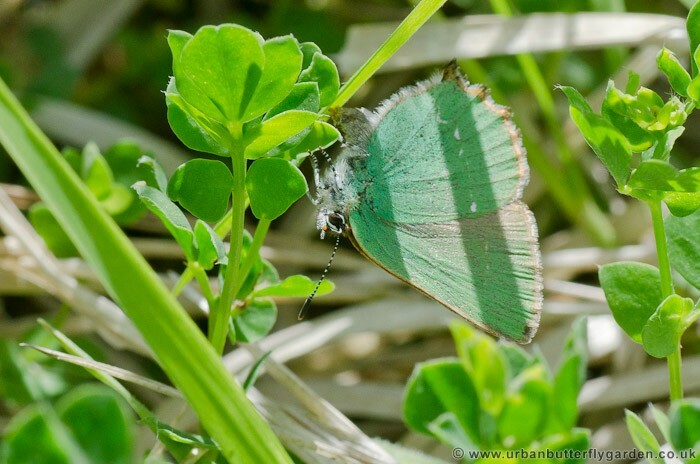 Seen from April-June, Green Hairstreak butterflies are mostly only active, and give away their whereabouts during periods of warm sunshine. They may be found in a wide range of habitats such as, woodland clearings, meadows, heaths and on hillsides, forming localised colonies that often vary greatly in numbers. On emerging the Butterflies will often seek a nectar source on plants and shrubs such as, Hawthorn, buttercups, Brambles, Crab-apple, Common-rock Rose, Gorse, Birds-foot Trefoil, Dogwood and Buckthorn and numerous others. Family Group: Lycaenidae – Blues,Hairstreaks. When: Flying in largest numbers from May to early June.